Introduce the littlest readers in your life to other languages while reading their favorite books! The original English text is paired with a translation in a language such as Cree, Simplified Chinese and Arabic. 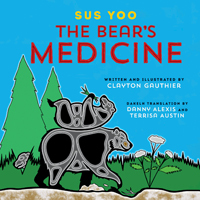 In this dual-language book, the story of how Indigenous people harvested berries and how that tradition continues to this day. This dual-language English and Swahili picture book is inspired by the founding of Tanzania, told through the eyes of a young boy who climbs Mount Kilimanjaro to signify the country's independence. 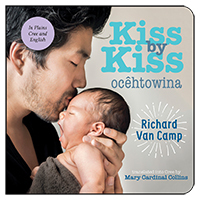 This dual-language, poetic board book for babies and toddlers celebrates every child and the joy babies bring into the world. In English and South Slavey. This dual-language, poetic board book for babies and toddlers celebrates every child and the joy babies bring into the world. In English and Bush Cree. 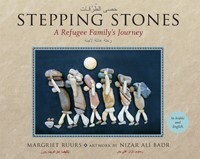 This dual-language, poetic book for babies and toddlers celebrates every child and the joy babies bring into the world. In English and Plains Cree. This dual-language, poetic board book for babies and toddlers celebrates every child and the joy babies bring into the world. In English and Chipewyan. This dual-language book that celebrates happiness and invites children to reflect on the little things in life that bring them joy. In English and Plains Cree. 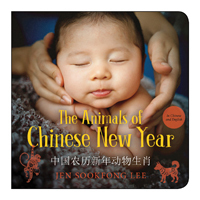 In this festive dual-language board book, twelve animals race to see who will represent the Chinese zodiac. In English and Simplified Chinese. 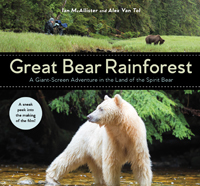 In this dual-language book, a mother bear takes her cubs out on the land to teach them how to survive.